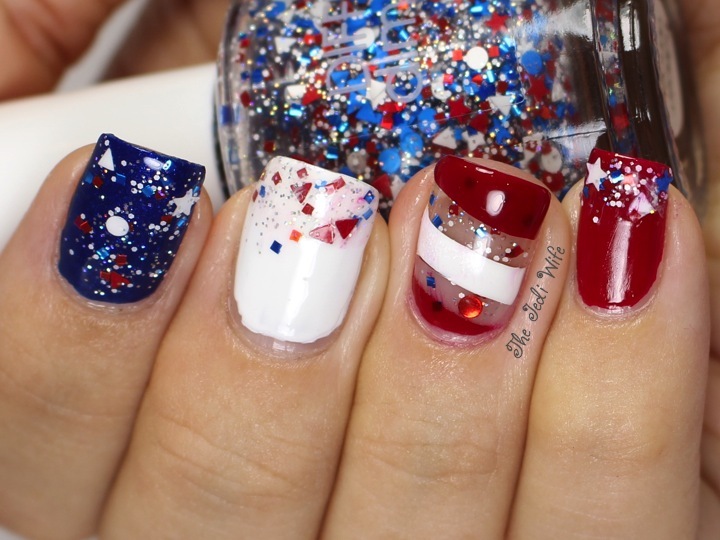 4th of July Preview featuring Different Dimension Indepen-Dance! Good evening, dear readers! Long time no see! Life has gotten a little crazy for me with some sad family news, so my blog has been waiting for me. I still have a little bit going on including a trip to Las Vegas for Cosmoprof next month, but I'll still be posting here and there as time permits. I'm still verifying entries for the Salon Perfect giveaway that just ended, but I should be drawing and contacting a winner in the next day or two. Now on to this evening's post! Initially, I wasn't sure how I wanted to paint my nails today, but then my package arrived from Different Dimension. I realize it is still June, but I wanted to create something cute and simple using Missi's Indepen-Dance! 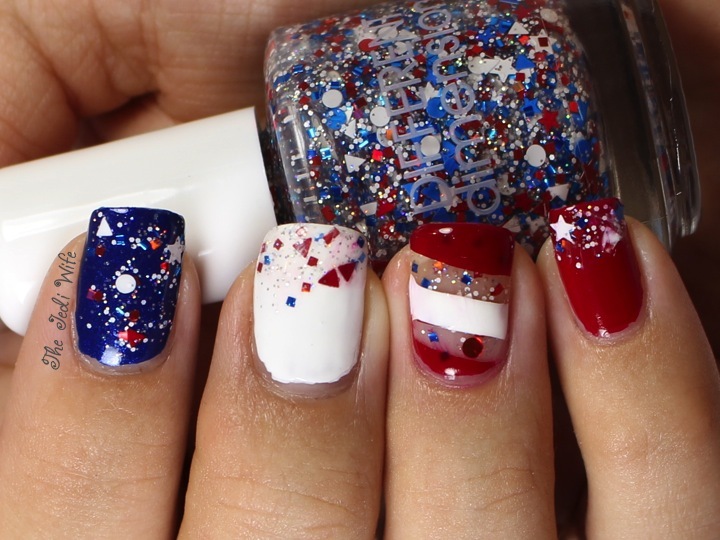 polish, and hopefully inspire you if you are planning to have patriotic nails for the 4th of July. Indepen-Dance! and other Different Dimension polishes can be purchased at Missi's Etsy shop here. For international customers, Different Dimension is also stocked at Llarowe, Edgy Polish, Mei Mei Signatures, and Ledouxnuage. You can follow Different Dimension on Facebook here and on Instagram here. I have a few more stunning shades that I'll be sharing with you soon, so don't do too far! Until next time, have a wonderful evening! Looks great! The angled red and white stripe is giving me early ideas for candy canes for December.